Lancaster City may come as a surprise to many people. In a region known for charming, old-fashioned towns, scenic rural beauty, and simple pleasures, this is a sophisticated city with much to offer. Don't get me wrong. Lancaster City (also known as the City of Lancaster and sometimes simply as Lancaster) is still relatively quaint and small when compared to most cities. The population is only about 60,000 and the Amish and Mennonite influence is always present. However, you will also find many first-rate museums, theaters, art galleries, shopping outlets, four-star hotels, and plenty of elegant as well as trendy dining. 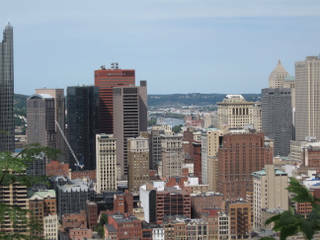 There is also a diverse, multi-ethnic population which adds to the rich culture of the city. Whether Lancaster City is your prime destination or a stopping off point as you explore the many little towns and villages of the area, you won't be disappointed or bored by this city. There is plenty to keep both the kids as well as parents smiling. If you are planning a trip to Lancaster City, you might be interested in discovering the special events that have been planned throughout the year. You might even consider planning your trip to coincide with some of these unique events. Lancaster City originated as a loose collection of settlements in 1720. Over the years these settlements gradually became organized and unified. Eventually the new town was named after Lancashire, England in May of 1729 by John Wright, one of the first county commissioners. At the time of the American Revolution, Lancaster City was the largest inland city in the Colonies. It even served as the nation's capital for one day, September 27, 1977, when the Continental Congress fled Philadelphia to avoid an advancing British army following the Battle of Brandywine. 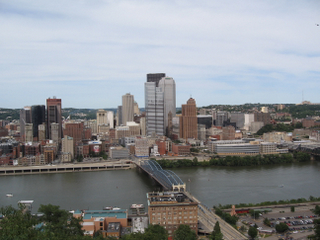 The city also served as the capital of Pennsylvania from 1799 to 1812. The City of Lancaster is the only municipality in Lancaster County that is classified as a City and serves as the county seat of the region. It is more cosmopolitan than any other town that you are likely to visit during your stay in Lancaster County. Covering 7.28 square miles, the city houses governmental offices, financial institutions, three newspapers, a college, and hundreds of small shops, boutiques and restaurant. Be sure to take a leisurely stroll along Lancaster City's residential neighborhoods. First off is Old Town, now called Trinity Place on East Vine Street. Here, historic homes dating back to the late 18th Century have been meticulously restored. There is also, Churchtowne which dates back to the 1740's. Churchtowne used to be a small village consisting of narrow streets lined with one-story log cabins. Today the area has grown and people of diverse religious affiliations reside here. Lancaster County is also the home of Franklin & Marshall College, founded in 1787, by a financial contribution by Benjamin Franklin. College Park is a neighborhood surrounding this old institution. The culture and intellectual activity of the old college has rubbed off on the neighborhood. In the Southwest part of Lancaster Hill, you will find Cabbage Hill which was settled by German immigrants who provided labor for the Conestoga Cotton Mills, which fueled the industrial Revolution in the 1850s. The area received its name from the vegetable that was a favorite of the residents and was commonly grown in the backyards. Another distinctive neighborhood found in Lancaster City is the area along North Queen Street, which extends to the northern reaches of the city's limits. Known as Ross, the area got its name because of the summer house belonging to George Ross, one of the signers of the Declaration of Independence. Ross became a fashionable place to reside during the years after the Civil War. Along it streets, particularly, North Duke Street, you will find many beautiful historic homes. 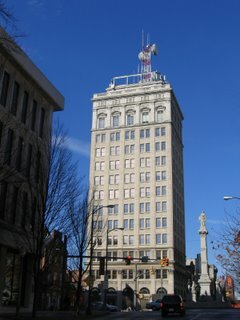 Lancaster City also contains an economical cultural downtown. Beginning in the 1960's and 1970's, the downtown experienced a bit of a slump, as many of the residents moved out to the suburbs with the omnipresent shopping malls. However, in recent years the downtown has undergone a revitalization period which has fostered a greater appreciation for the city's culture, history and architecture. Today, you can find myriads of shops and restaurants that cater to any taste you can imagine.